Visconti were established in 1988. They quickly grew in size and profile, producing pens made from celluloid - a natural material absent for many years from the pen market. They have also been notably innovative, creating new fountain pen filler systems as well as other products, such as the travel inkwell. 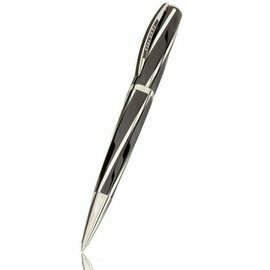 As a result of their innovation, Visconti now have many patents to their name. Visconti have concentrated not only on the functionality, but also the aesthetics of the writing instruments they produce. They have one of the widest and most interesting collections on the market today. All Visconti writing instruments are produced in Firenze, Italy. 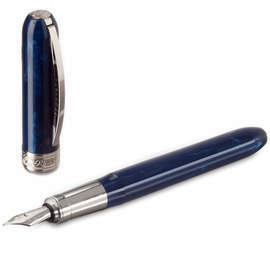 A large selection of limited editon writing instruments is available, as well as Visconti's main catalogue. 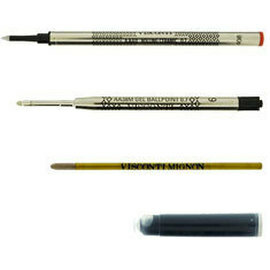 Visconti's range of writing instruments includes fountain pens, rollerball and ball pens, and also mechanical pencils. 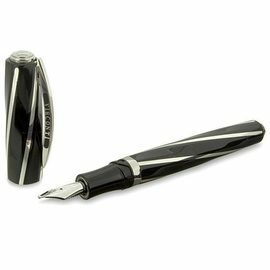 If you cannot find what you are looking for on this page, please contact us as we are able to supply you with any item you require from the Visconti pen collection. Following the design of the limited edition Divine Proportion pen, the Divina Medium has the same twisted pentagon barrel in black lucite inlaid with sterling Silver. Following the design of the limited edition Divine Proportion pen, the Divina has the same twisted pentagon barrel in black lucite inlaid with sterling silver. Forged from the basaltic lava rock of mount Etna and complimented with either steel or bronze, the Homo Sapiens range from Visconti is a masterpiece in craftsmanship. 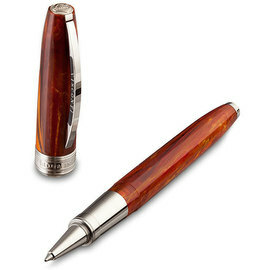 The Rembrandt range of pens and pencils feature variegated vegetal resin barrels and caps, each unique with it's own swirls and patterns. 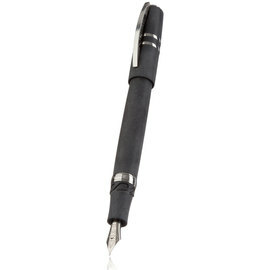 The fountain pen and rollerball pen use Visconti's magnetic cap closure, for secure and quick capping. The new Van Gogh collection launched in October 2011 to replace the ever popular collections of the same name. The New Van Gogh pens feature a 16 sided barrel and a magnetic fitting cap. Available as a fountain pen, rollerball pen, ballpoint and the new rollergraphic pen (a rollerball that accepts fountain pen cartridges). Italy is renown for the quality of it's leather goods and this range of pen cases from Visconti clearly demonstrate that this reputation is well founded. 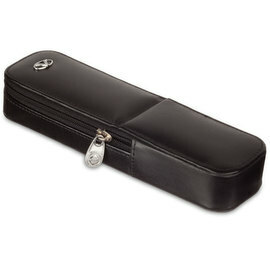 Made from fine European leather, Visconti pen cases are available for one, two, three, six and twelve pens. All come fully lined, with dividers and the zip-around opening allows for easy and rapid access. Original, genuine Visconti pen refills, fountain pen inks and cartridges. We stock all available Visconti pen refills.